Get educated. I know it’s sometimes easier to stay ignorant to the products you consume and the toxins being poured into your body. If I delve too deeply, I may drift off in despair and hopelessness. Take it slowly, researching more of the products you use and how they are affecting your health, such as your deodorant, hair products, etc.. I’m not saying to slay all non-natural products, but I do try to find better alternatives. I still use hair spray and eat meat. I’m going slowly, but educating myself is paramount in getting my health back in my own hands. Use coconut oil. It is amazing for skin health and even hair health, although I find it makes my hair too oily to use on a regular basis. Take detox baths. Our bodies need help in flushing out the toxins we are consuming, and detox baths are wonderful ways to do so. Introduce essential oils into your daily routine. These oils can really amplify your health. Cut down on alcohol consumption. I still drink, but I do so in moderation. This cuts down on the empty calories and a headache the next day. Put a himalayan salt lamp in your bedroom to purify and cleanse. Check out this article by Don’t Mess with Mama on 6 Health Benefits of Himalayan Salt. Up your intake of water and research the benefits of certain fruits and essential oils for weight management. I make a concoction I call Detox Water that combines several healthy ingredients. Drink 1-2 oz. 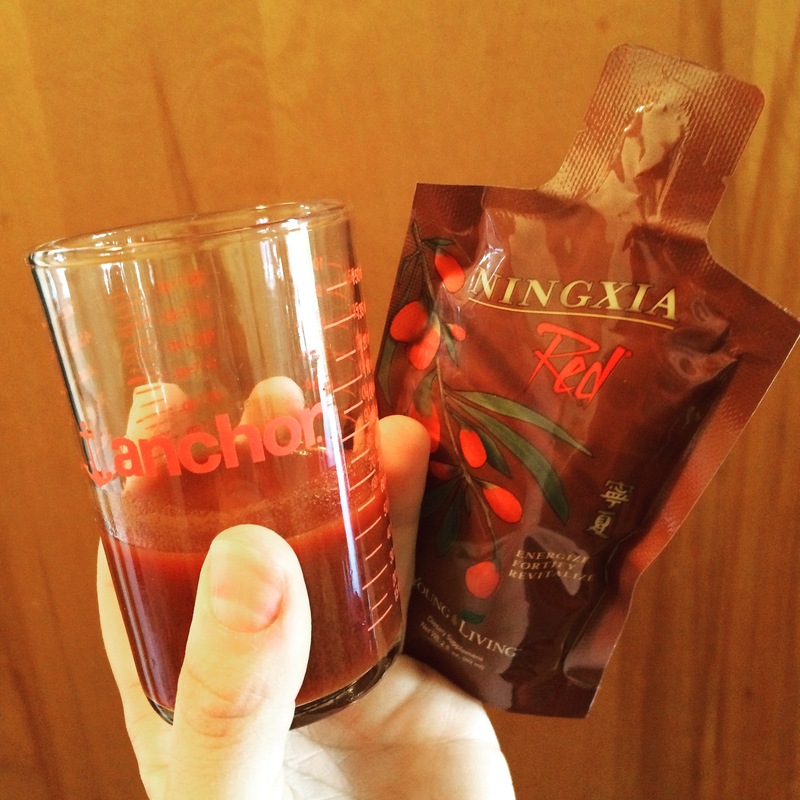 of Ningxia Red each morning to boost your overall health. Use empty vegetable capsules, coconut oil, and essential oils to create supplements to aid in your health needs. Add citrus oils and Peppermint to help with weight management. Use Lavender, Peppermint, and Lemon for allergy relief. Store in the freezer to help with leaking. Use a foam roller to release built-up toxins in your muscles. Download a pedometer app. If you know anything about me, you know I rarely get motivated enough to work out. This helps me see how much I’m really doing, or not doing, each day. It encourages me to take the stairs sometimes when I’ve been especially lazy. Drink warm water first thing in the morning with lemon juice or essential oil. Add peppermint, ginger, or any other citrus oil based on your tastes and needs. This will help with digestion, appetite suppressant, and boosting your metabolism for the day! Rub Peppermint, Lemon, and/or Ginger essential oil on your stomach in clockwise direction to aid in digestion and natural cleansing. This also helps if you are nauseous. Stop using antiperspirant. I know it’s scary, but most commercially-available deodorant is awful for our health and in some cases have even been shown to cause breast cancer. Either way, the lymph nodes in our armpits and neck cannot do their jobs of excreting toxins when we block their removal system (sweating) with chemicals. So we clog up one of our largest detox centers in the body, building up toxic nastiness all over the place. Detox your pits and use natural forms of body odor control. I use organic Apple Cider Vinegar (with “mother”) in the mornings and then after that dries, I apply coconut oil and essential oils. Some of my favorites for a nice scent include Thieves or Purification. They don’t stop the sweating, but they control the smell. I sometimes have to apply once throughout the day, but that’s about it. It is also the middle of summer, so that could be a factor. Check out this article by Don’t Mess with Mama on the 7 Toxins Lurking in Your Deodorant. Diffuse Thieves essential oil to help boost your immune health. Add a tiny bit of coconut oil (I use less than a teaspoon) to your coffee in the mornings to help with digestion and internal cleansing done naturally. Dry brush before taking a detox bath. Try oil pulling as part of your morning routine. Meditate. This is one I still work on, but it’s definitely worth it. Get out in nature. I don’t work out much, but it’s easier to do when it’s fun! Burn a smudge stick around your home, especially the entries and corners for cleansing and protection. What are other ways to live a healthier life? Leave comments and this article will constantly be in work for all sorts of tips to living a better life. About 2 years ago I started gaining weight quickly and without cause. I had already gotten my thyroid checked, and my levels were normal. I have hypothyroidism and sadly must take medicine everyday to keep my thyroid levels normal. Well, the levels were normal and I wasn’t doing anything differently. Still drinking the same amount of wine. Not gorging on sweets (that much). What gives!?! Steadily my weight jumped to pushing 200 at 5’5 <– and a half!! That’s definitely in the BMI charts as obese. This was the heaviest I’d ever been by about 30 pounds! When I jumped on the scale one day and saw 194 staring back at me, I knew it was time to go back to my doctor. Let me clarify before people get all huffy… 194 is beautiful if that is what you’re comfortable at. With my height, 194 just wasn’t healthy and I didn’t feel it. So for the first 15 pounds, my doctor helped me out with a medicine called Phentermene. I’m not saying it’s for everyone, but it helped me when I needed it. Once I started losing weight, I eased off the medicine and attacked my weight from a holistic view point. The remaining 35 pounds was all natural and all me. I started doing rigorous research into the toxins we constantly put into our bodies and why detoxing is so important. The cleansing tools below were brought about over time. I did not jump head first into a detox obsession. Rather, it came about slowly because the results were obvious. I immediately started taking detox baths and saw a huge improvement in my health. I upped my water intake and concocted detox waters with powerful ingredients. I use essential oils each and every day; they’ve changed my life. I lather my body in coconut oil instead of lotion. This saves a ton of money and also moisturizes my skin naturally without all the added chemicals. Add essential oil for added benefit. Coconut oil is my favorite carrier oil. This is the recipe for my powerful skin serum base that you can add essential oils to for your needs. Read more about skin health here. I spike my water with Citrus essential oils such as Citrus Fresh, Lemon, Lime, Grapefruit, Orange, Tangerine, and Ginger to aid in weight management, appetite suppressant, cleansing, and digestion. Download a pedometer app. Okay, I said no working out, but we all at least TRY to workout, right? So this is nice because I can feel like I accomplished something if I have some decent steppage on my pedometer app. Take time for you. I stress a lot and even though I’m totally extroverted, I’m also quite introverted as well. I build up tension in my shoulders and neck, clenching my teeth without realizing it. This causes pain and headaches. Sometimes we all just need some alone time to de-stress and take it easy. Find your passions. Delve into new and exciting interests and hobbies. This will boost your motivation, releasing feel-good endorphines. Utilize Peppermint and Citrus Essential Oils for their weight management powers, including appetite suppressant and fat inhibitor. 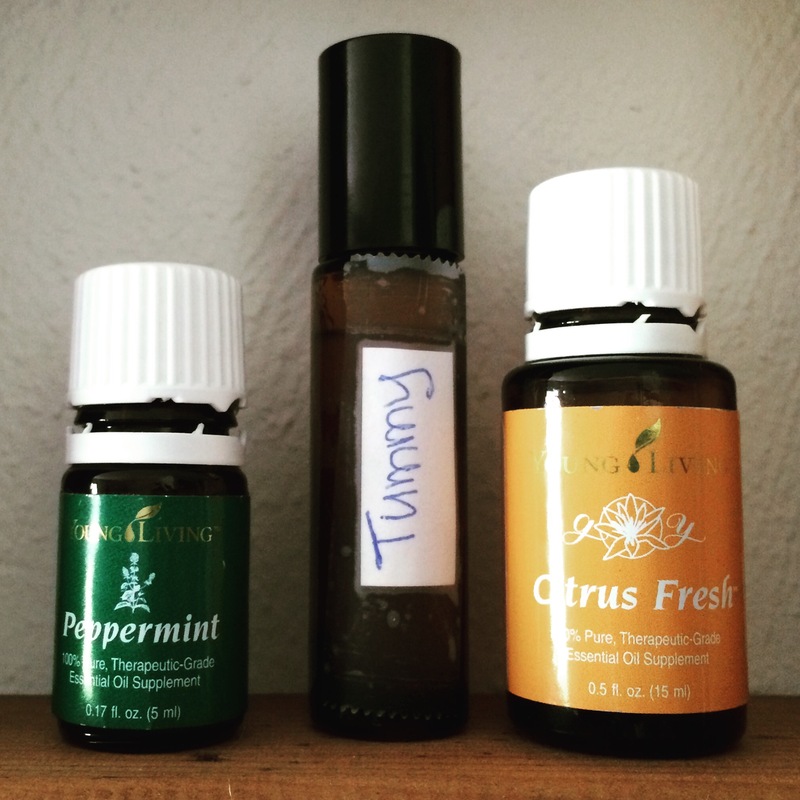 Rub the oils on stomach for digestion and tummy troubles. Diffuse. Rub on fatty areas to tighten skin and remove cellulite. Take in a capsule daily. I cut WAY back on the alcohol. So this wasn’t intentional, actually, because I quite enjoyed my glasses of wine each night. But my palate changed and soon wine, liquor, and most beer tasted repulsive. I’ve been able to drink hard cider with some ease, but I don’t want much. I think this is a great thing! But I will admit, cutting back from drinking a few glasses of wine each night to maybe one drink a week helped my weight start to fall off. I started eating less processed foods and more fruits and vegetables, fish and nuts. I started taking certain vitamins and supplements that were right for my body. My immune system is not great, so I introduced Vitamin C to my daily supplements. Vitamin B Complex also helped with energy and immune health. Research what’s right for you. Maca root is another supplement that aids in weight management. Get out more in nature. While this is breaching the “no working out” title, it’s easier to sneak in some fitness when it’s fun. I learned about dry brushing and attempt to remember to do it before detox baths. I also found out about oil pulling, which is where you take about a teaspoon to a tablespoon of oil, such as coconut oil, and add essential oils for flavor and health benefits, and swish it around your mouth like mouthwash. DO NOT SWALLOW. Pull the oil through your teeth for 10-20 minutes. I will admit I’m still new to this and can barely keep it in for 5, but you have to work with something. You are pulling toxins through your blood vessels and gums into the oil in your mouth. Spit it in toilet paper and throw it away. It will clog drains. Check out this article from Don’t Mess with Mama on oil pulling. I started drinking 1-2 oz. of Ningxia Red each morning to boost my overall health. I stopped wearing deodorant. Seriously. I freaked out too a bit. I have a massive fear of smelling bad (weird fear, I know). So I was pretty nervous, but I was also committed to finding an alternative to all those toxins! The lymph nodes in our armpits help flush out toxins in our bodies through sweating. If we block this sweating process through anti-perspirants, we are building up toxins within our bodies. The first step was detoxing my pits. I still use Apple Cider Vinegar in the mornings, then a few minutes later apply coconut oil and essential oils. My choices for my pits are either Thieves or Purification and normally something else, like Lavender to help with razor burn and skin health. I leaned heavily on certain Young Living Essential Oils for emotional balance. My world started tilting and I needed some emotional support. I received this support through the use of a diffuser necklace. I added a drop or two to a cork piece and smell it all day. The oils I use include Joy, Awaken, Release, Forgiveness, Valor, and Grounding… not at the same time. I also use these oils in the diffuser for emotional support. I utilized the powerful properties of crystals for healing. This wasn’t normally an issue for me, but I made sure I started getting 8+ hours of sleep each night. Sleep is important to me and thankfully, for once, it’s something that’s important for my health too! As I stated above, I don’t do all these all the time, but I like to incorporate as many as I can into my regular routine. I’m now to a weight I’m comfortable at and the scale doesn’t mean much to me because I feel great! And that’s what should really matter. There are so many uses for this versatile oil and I wanted to share its incredible health powers! There is no denying that this is a must-have oil for your daily routine! At first I didn’t like the menthol scent, but its plethora of healing properties is impossible to deny. So I’m going to start a list of the different ways to use Peppermint, whether fresh, dried, or in essential oil form. Peppermint essential oil (EO) is amazing for all things inflammation and pain. 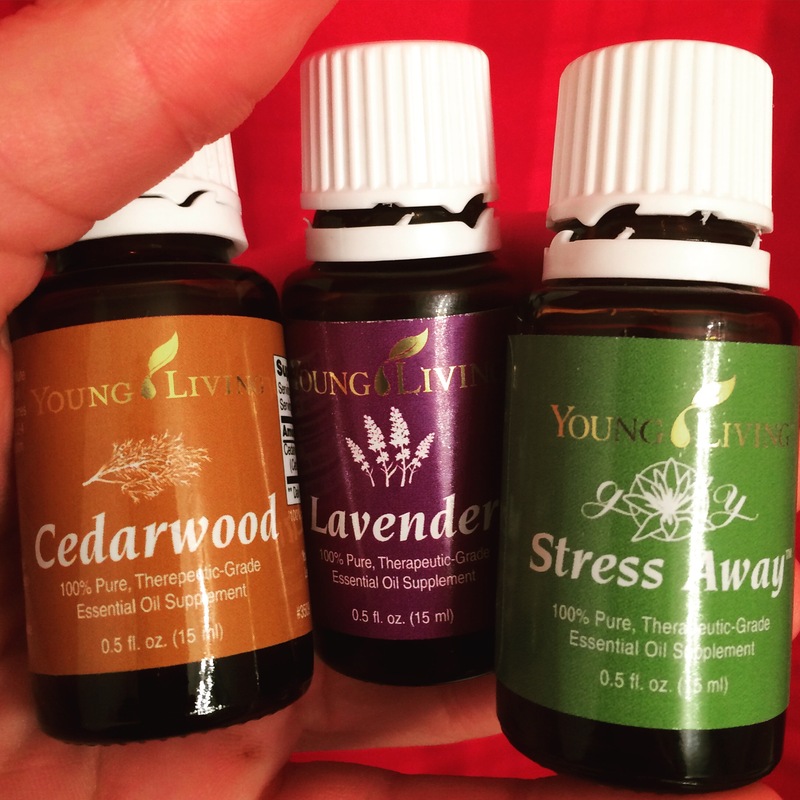 Add a few drops to your hands and rub on sore muscles to ease tension. Add anywhere from 3 leaves to a handful of fresh peppermint to a pitcher of detox water. Add fresh leaves to detox bath to help with sore muscles and to give you a boost of energy. Add fresh leaves to ice cubes for a refreshing and unique twist. Use mint leaves as part of a smudge stick to aid in protection, purification, and cleansing. First thing in the morning, drink a glass of hot water or tea with Peppermint EO, ginger, cinnamon (optional), and honey (optional). This will aid in digestion and internal cleansing. It will also boost the metabolism and give you loads of energy for the day. Repels insects, especially spiders!! Add Protection Salt (above) to all doorways/windowsills and the corners of each room. You can also add Peppermint EO to ribbons and hang around the home and porch to repel insects. Rub on your body to help with the biting insects. Inhale Peppermint EO to boost energy and motivation. Peppermint helps relieve upset stomachs. Diffuse for nauseousness and apply peppermint EO to the torso in clockwise direction to ease tummy issues. This has helped me in tons of situations!! 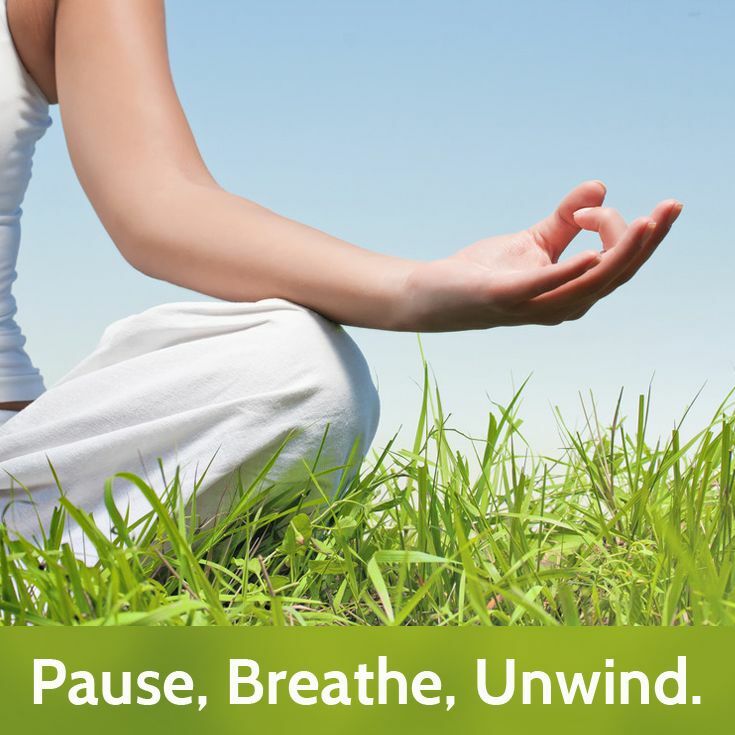 Inhale deeply to ease car-sickness. Add Peppermint EO to an all-natural toothpaste of baking soda, coconut oil, and water. This will also help with dental health overall. Mix together EOs Lavender, Lemon, and Peppermint to help ease allergies. Add to a roll on bottle with witch hazel as the base and shake before use. Hang dried leaves or sachets in windows to repel negativity. Add several drops of Peppermint EO, along with other oils of your choosing and coconut oil as a base, to vegetable capsules. Freeze and take to aid in digestion, weight management, and as an appetite suppressant. Diffuse Peppermint EO, along with other minty oils such as Eucalyptus and R.C., to aid in sinus congestion and cold symptoms. Add 5-10 drops to coconut oil, coffee grounds, brown sugar, and other essential oils (Lemon, Ginger, etc.) and apply mixture to body as exfoliator to and help tighten skin, removing cellulite. Inhale Peppermint EO before an exam or stress-inducing scenario to calm your mind while boosting your memory and cognition. Diffuse to purify your home and remove stale odors. Add a drop or two of Peppermint EO to a cotton ball and drop it in the canister of your vacuum cleaner before you clean. It will make your home smell amazing effortlessly while you clean! Add a drop or two of Peppermint EO to a cotton ball and insert in your car’s air vent. This will help your car smell great! Add a few drops to Ningxia Red to boost your health. Add fresh peppermint leaves in a mason jar nearly filled to the top. Then add a 40-60 proof vodka to the top of the leaves. Keep in cool, dry place for a few months, shaking every few days. Eventually, you will have a peppermint-empowered tincture. I want to hear all the ways YOU use Peppermint as well! Comment here and I will update periodically! Ah, my darling Rose Quartz. This is one of my favorite stones for its wonderful love properties. Brings gentleness, forgiveness, compassion, kindness and tolerance as well as balancing one’s emotions; thus bringing inner peace and harmony. Helps balance emotions and heal emotional wounds and traumas, even grief, bringing peace and calm. Can help with reconciliation. Never leave in full sunlight; its color will fade. Read more on how to cleanse and charge your stones! Place in your bedroom to aid in peaceful sleep. Carry on your person and rub when feeling anxious. Keep one at your place of employment to promote positive relationships and interactions. Depending on the level of stress and hostility in your work environment, you may need to cleanse this stone regularly. Place near your head to ease headaches, tension, and anger. Give to a friend or loved one to strengthen relationship. Cleanse and charge with positive energy before giving. My mind never stops. Ever. Some may say, “um, duh.” But I am always thinking of something. Every single moment of every day, even in sleep, though unconsciously, I am thinking an array of experiences. I say “experiences” because not all thoughts are simple statements. We think entire worlds full of expression and feeling. What we consider the mind in all politically-correct terms is the brain, which does the “thinking.” Perhaps I am unique in my ponderings, but hopefully there are many others who share my belief. I don’t consider the mind as the source of thought. Yes, it definitely is vital to the success of the whole; that I do not deny. In a very base sense of the explanation, I feel our souls are in a way trapped inside the earthly bodies we’ve been gifted to experience this realm. My conscious (and subconscious) are my soul, my entire self, even the parts I do not yet recognize. My head/brain along with the heart make up our earthly understanding of this astounding entity I call soul. Since my soul is constantly learning, growing, feeling, and experiencing, I encourage you to express your beliefs openly, while respectful and never forceful. I enjoy hearing other perceptions and realities because my soul is constant clay, it is molded with each experience. I keep my limitless entity open to other possibilities of higher expansion. I do not shun those differences between all beings, but listen and accept that as truth for their reality. We live not in black and white, but the multi-hued kaleidoscope of grey. Our existence should not be bound by the terms of good or evil, because who can claim to make that decision? There is not the polar opposites, as many think, but an array of all between. So please share your experiences and musings so I may continue to grow with each passing moment. Even if we disagree on points, we both grow by openly listening and at least considering the other realities possible. With a soul constantly in active thought, I experience adventures In multiple dimensions at one time. Time is an explanation devised by man to better make sense of his relation to existence. Let me explain my reasoning. If we did not have a physical clock, we would base time via the moon and season cycles. Those elements are unique to existence on this planet. Think now of the possibility of existence on planets or planes that are not of Earth. These places may have varying numbers of moons and stars/suns; or none at all. Their perception of time could be completely different than ours, if they acknowledge it at all. That is my best current explanation for my bold statement (my truth) that time is a man-made entity. For now, I will cease my ramblings and return at another time. Live in each moment, my friends. This is what Young Living says about Ningxia Red, “NingXia Red® is a powerful antioxidant drink that contains whole Ningxia wolfberry puree—a super blend of blueberry, aronia, cherry, pomegranate, and plum juices, natural stevia extract, grape seed extract, pure vanilla extract, and orange, yuzu, lemon, and tangerine essential oils. Its health benefits include support from head to toe, via a whole body nutrient infusion. NingXia Wolfberries have been cherished for centuries for its health, energy, and longevity benefits. Whole Ningxia wolfberries and other nutrient-dense fruit juices make NingXia Red the perfect choice for optimizing wellness and stepping up to a whole new level of health.” Find out all it’s amazing benefits at the Young Living website. Find out how to get 24% off your Young Living orders! Take a detox bath to aid the flushing out of those toxins! Ostara, also known as the Spring Equinox, is between 19-22 March, depending on earth’s orbit of the sun. On the spring and fall equinoxes, day and night are of equal length. Ostara is observed as a time to mark the coming of spring and the fertility of the land. The earth is beginning to show signs of rebirth and renewal. This holiday celebrates the seasons’ changes from dark, cold winter to brightening spring. This holiday celebrates the Spring Maiden and Horned God, who represent the new spring season and the festive enjoyment of nature. Ostara, or Eostra, is an Anglo-Saxon goddess who represents dawn. This is where Christians got the name Easter. As a spring goddess, she oversees the budding plants and burgeoning fertility of the earth. Other portrayals or personifications of this holiday is the Green Man and Mother Earth. As told by Edain McCoy in his book, Ostara: Customs, Spells & Rituals for the Rites of Spring. “The Anglo-Saxons hailed Eostre as the Goddess of Spring, the Greening Earth, and Fertility. Her name means “moving with the waxing sun.” Around the time of her festival, on the day when light and dark are equal, the local animals began giving birth or going into their sexually receptive cycles, named “estrus periods” after the goddess. From the fiercest to the most humble, the woodland animals – who also worshipped and loved Eostre – would play in the warmth of spring light and feast on the new vegetation Eostre provided. 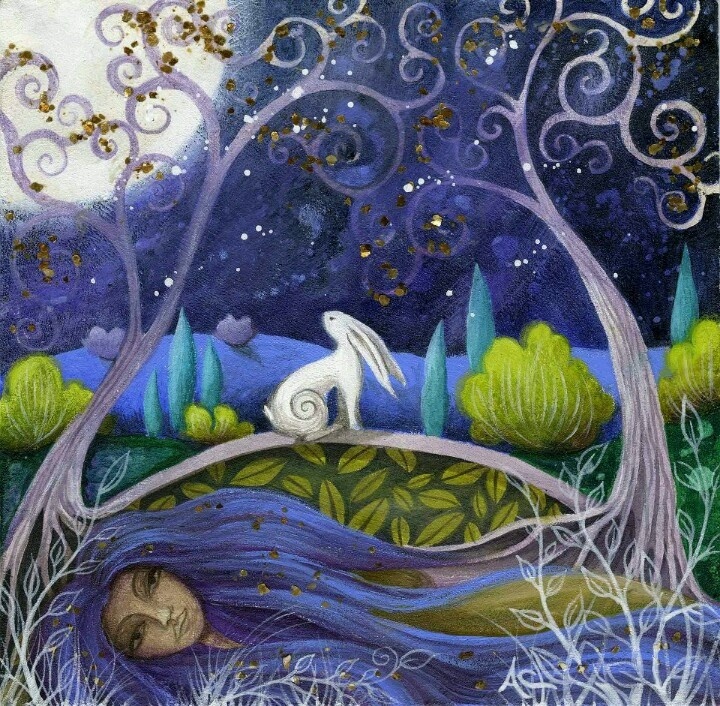 One of Eostre’s devotees was a small hare who wished very much to give a gift to his goddess, but he didn’t know what he could possibly offer that would be of any value to her. Then one day while foraging, the hare came across a fresh egg, a very prized commodity indeed. The little hare wanted very badly to eat the egg, as it had been a long time since he’d feasted on anything finer than dry grasses. Before he could take a bite of his prize, he realized this egg might make the perfect gift for Eostre. But, he pondered, Eostre could have all the eggs she wanted, anytime she wanted them. She was a goddess, a creator, the embodiment of Life itself. Giving her just any egg would never do. How, he wondered, could he make this egg a fit offering for his goddess? 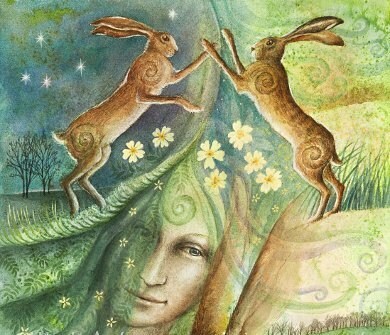 The little hare took the egg home and pondered how to make it as beautiful and new as Eostre made the world each spring. He began to decorate the egg. He pained it in the hues of Eostre’s spring woods and placed upon the shell symbols sacred to Eostre. When he felt he could not make the egg any more beautiful, he took it to Eostre and offered it to her. Eggs play a very large symbolic role in Ostara, being the vessel to symbolize life, death, and rebirth. Decorate your altar with some of the symbols of the coming spring season, such as decorated eggs, flowers, feathers, seeds, earth, and wine. In ritual, we must also offer a sacrifice to our deities and thank them for the coming spring. We have made it through winter and life is beginning to start anew. Popular items to offer as sacrifice include wine, food, flowers, herbs, eggs, and whatever you feel is right to offer. In German and Scandinavian lands, the tradition of offering eggs to the Goddess in exchange for blessings or wishes was a common spring practice. Eggs are one of the most prominent symbols for Ostara, so it is only expected that we would use eggs in our celebrations. I’m sure many of you have decorated eggs at some point in your lives and maybe even hidden them for a great egg hunt! With the rise of Christianity, Pagans had to hide their practices since they were considered a capital offense. Therefore, the offerings to the Goddess had to be hidden where only she could find them. This is how the egg hunt began. The search for eggs also has a deeper metaphysical meaning in many cultures. The hunt represents the soul’s eternal quest for life renewed so that it may have the opportunity to perfect itself and reach a union with the deities. It is best to decorate eggs with herbs and nature since that is how the eggs were decorated before commercial, chemical dyes. Pick herbs that have properties themselves that will attract your desire. The symbolic image of the egg is almost as important as its organic aspect, so don’t overlook using “eggs” crafted from wood, foam, or plastic. Get creative! You can use nontoxic watercolor or acrylic paints (or make your own dyes), decorate with symbols, trinkets, feathers, sequins, beads, and more! If you are keeping the egg for yourself to celebrate the season, add aspects to the egg which will magnify the powers and energies you are trying to manifest in your life. If you are giving the egg(s) to someone else or a deity, decorate with pieces that personalize it for the person you are offering it to. Bear in mind that there is no wrong way to decorate your Ostara eggs. If they appeal to you as symbols of the season, that’s all that matters. This holiday is all about new life and rebirth, so it would be a lovely craft to gift to loved ones. Simply gather seeds in a small bag and put them in a decorated card. While preparing the gifts, make sure to put positive energy into the seeds and card. As written by Edain McCoy in his book, Ostara: Customs, Spells & Rituals for the Rites of Spring. 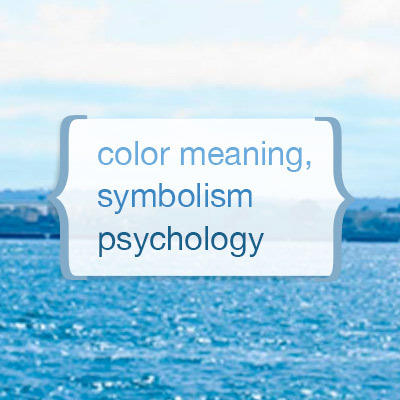 Early in the morning on a sunny spring day, take several pastel ribbons of your desired color (see properties of certain colors here). Welcome are your balmy breezes. Welcome, deities and nature spirits of spring. The promise of bounty to come. Consider which specific blessings associated with the coming of spring you want to receive. Write these on the ribbons with a marker. Attach the ribbons from a post, windowsill, and/or wind chimes. Thank you for this successful spell. Allow the window to remain open for as long as you can while the breeze captures your wishes on the ribbons and blows them into your home. Give thought to what new habits and energies you are welcoming into your life this new birth of spring. This year I’m working on self-love and continuing to bring positivity and happiness into my life. Think about what you need to focus on to better your life. Write your intentions on a hard-boiled egg. Feel free to decorate as explained above. Meditate on your intentions and visualize yourself bringing these things into your life. Place the egg(s) on the altar before, during, and after your Ostara ritual. The next day, take the egg and bury it in soil, placing seeds on top. As the plant grows, realize these intentions growing in your life. Each time you see the plant, take a moment to concentrate on the positive energy your are putting into making these intentions come true. As with most celebrations and festivals,there is feasting! Food items made with eggs, honey, and milk are liberally consumed during Ostara. These are the traditional foods of these holidays due to their availability to our ancestors in the spring and summer months. REMEMBER!!! Don’t throw those egg shells away! Yourself, your friends, and/or your family put great time and loving energy into decorating these egg shells and they hold great magic. Use them in your garden. Keep larger chunks to use as a candle holder (see below). McCoy, Edain. Ostara: Customs, Spells & Rituals for the Rites of Spring. Before I moved to Ohio, I had not experienced the magnitude of dry skin that accompanies the frigid winters of the Midwest. My knuckles and wrists especially get so incredibly dry, that sometimes they will crack and bleed if I do not apply some type of moisturizer. So let’s talk about some ways to keep those dry spells at bay, especially during extreme cold. One of my favorite ways to keep my skin hydrated during cold months is Coconut Oil. I like to create my own moisturizing mixture with coconut oil as my base, along with caster oil, olive oil, vitamin e oil, and essential oil. I keep this mixture in the glass container of a long ago burned and cleaned Bath and Body Works candle. Keep the lid! I don’t measure my ingredients because I just keep mixing until it is to my desired consistency. Start off with about half a cup of coconut oil, a tablespoon both of castor oil and olive oil, teaspoon of vitamin e oil, and about 3-4 drops of your chosen essential oil. See below for different properties of essential oils. Mix the concoction until you get your desired consistency and smell. Castor oil is one of my all-time favorite things EVER! It is my Jack-of-all-Trades for skin care. At night before going to sleep, I like to get a drop (seriously, less is more) and massage it over my eyelids to aid in peaceful sleep. Make sure not to get it in your eyes, though! While I’m there, I give my eyelashes a good dousing too, which encourages their growth. Don’t forget to get under the eyes too! My reasons are twofold: it helps with under-eye bags and I have a tiny skintag that is attempting to form about an inch under one of my eyes; I am determined that will not happen. Castor oil is supposed to get rid of skin tags over time, so we shall see. If you want thick eyebrows, go ahead and rub your oily index fingers over them too. Castor oil is wonderful for skin health. Utilizing castor oil in the above-recipe will aid in stretch mark and cellulite reduction, hair growth, and moisturizing the skin while not clogging the pores. Another reason I love castor oil to pieces is that it is highly detoxifying for the liver, especially if you place a heating pad or hot towel on top of your stomach after rubbing castor oil or the above-mixture on. *Caution: I’ve heard that the stains are impossible to remove if you get them on sheets or clothes. I have not really had this problem, but I don’t mind stains, so maybe I just don’t notice. I purchased the vitamin e oil supplement pills from Amazon, and they arrived in tiny pill form. I was hoping for the larger pills, but must have gotten the wrong size. Trust me, you want the larger ones because it takes quite a few of the tiny pills to get the amount you want in the mixture. Lavender EO wins the prize for best EO for the skin. Not only is it calming and relaxing both mentally and physically, it is a wonderful oil for all types of skin conditions. It may be used to cleanse cuts, bites, stings, bruises, rashes, and many skin irritations. This EO even eases burns!! For our needs, lavender is perfect for dry or chapped skin, including lips. This EO is also great for easing headaches and migraines. This EO will help to soothe itchy skin as well as reduce inflammation and keep away headaches. Cedwarwood is great for dry skin, eczema, psoriasis, and/or dandruff. Find out more on how to use essential oils here! Find out where to buy essential oils here! Above are the oils I used in my detox bath last to help with skin issues and to ease some stress and tension. Olive oil is a wonderful ingredient to add to any moisturizing mixture. More on olive oil later! Another way to help combat dry skin is an oatmeal bath. Blend or use a food processor to get the oats down to a powder consistency. Move to a glass bowl for mixing, or straight to your bath. Regardless of the need I may have when taking a hot bath, I have a few items I always add. The hot water will cause your skin’s pores to open, allowing the release of any built-up toxins. You may aid this process with some ingredients such as Epsom salt for detoxification and aching muscles, baking soda to neutralize any toxins being released so your body does not reabsorb them, and peroxide to aid in riding the body of toxins as well as being wonderful for the immune system. For dry skin, add the oatmeal to the bath along with whole, almond, or coconut milk if you have it. I also like to add coconut oil in some way so I will either add a small chunk or take in my mixture from above and use that while I’m in there. Adding these extras to your bath will also help other areas of your body that may need it, such as your hair. I would be careful dry brushing if your skin is very dry because it is brittle at the moment and may easily be broken open. “Everything You Need to Know About… Castor Oil” by MyHealthyLifeNow.